Heading to Eminem this February? 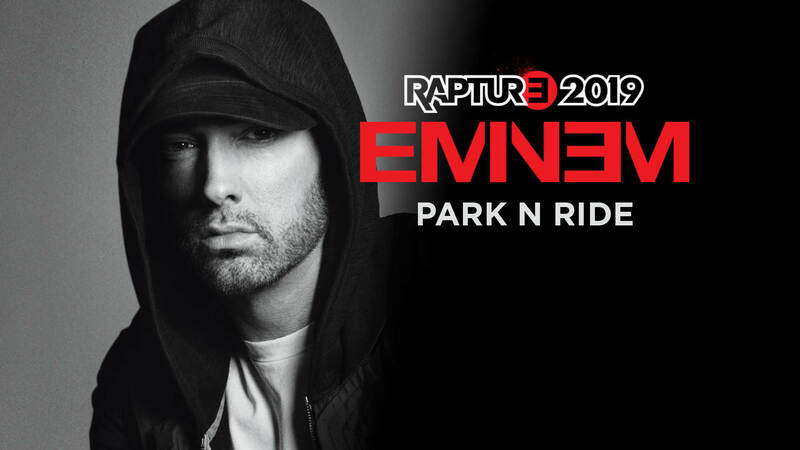 Forget the hassle of taxis and pick ups and purchase our 'PARK N RIDE' VIP Package for only $35pp + booking fee and take advantage of free parking and return VIP bus transfers from The Glen Hotel and Suites at 3:30pm (immediate 4pm departure) to the Eminem Rapture 2019 Tour at QSAC, Nathan on Wednesday 20 February (with return transfer back to The Glen Hotel and Suites immediately after at 10:30pm). By agreeing to the terms and conditions, you agree to adhere to the conditions outlined by all relevant parties, including but not limited to The Glen Hotel Pty Ltd and the Charter Bus Company. Ticket holder(s) must make themselves aware of the strict departure times for the return transfers and the pick-up points, as instructed to passengers by the Bus Driver. The chartered bus will not be waiting for ticket holder(s) who are not at the pick-up point by the departure time specified. If, in the case that the ticket holder(s) are not on the charter bus by the specified time, the ticket holder(s) are responsible for their own return transport at their own cost and The Glen Hotel Pty Ltd will not be held responsible for any loss or cost(s) involved. It is up to the charter bus driver’s discretion to refuse ticket holder(s) deemed highly intoxicated and threatening and/or violent. Cancellations due to illness/injury and unforeseen circumstances by ticket holder(s) must be advised in writing at least 48 hours prior to Wednesday 20 February 2019. Please note that booking fees will not be refunded and that all cancellations must be made directly to The Glen Hotel via email at info@glenhotel.com.au No ticket refunds will be processed within the 48 hours prior to departure. • No smoking is permitted on any vehicles at any time or within 5m of the bus or coach entrance door(s). • Food and drink are not to be consumed on the vehicle. Alcohol is not permitted on board at any time. • Seat belts must be worn on vehicles which are equipped with belts. • All passengers must remain seated while the vehicle is moving except when travelling on a non-belted bus where standing is permitted if there are no seats available. • Passengers are not permitted to place any part of their body outside the vehicle whilst the vehicle is moving. • If the planned timings of the charter are disrupted for any reason beyond control (e.g. mechanical failure, road, traffic, weather conditions), the Company will not be held responsible for any losses. • The Charter Bus Company reserves the right to terminate a charter if any actions are deemed threatening and/or unsafe to the driver or other passengers.